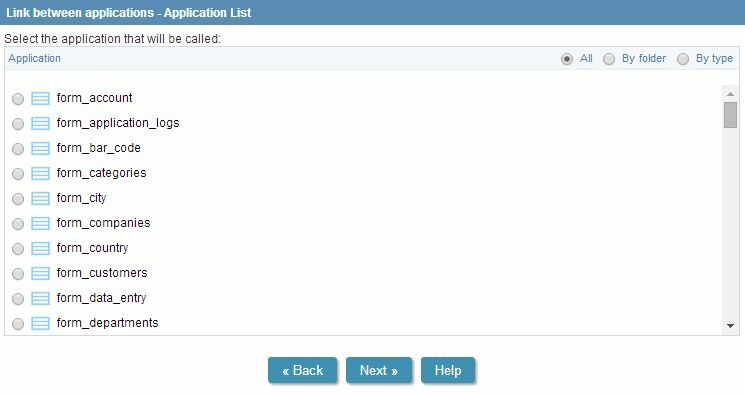 Add - When you click in 'Add', a screen with app list will show up to choose the application. (Picture 2). Edit - Select the application and then, click on edit button. 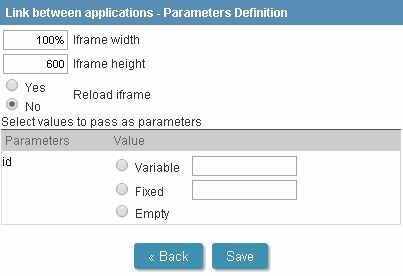 The following steps are selection of the application and the definition of the iframe size (Picture 3), requested in the add application process. Remove - Select the application that you want to delete and click on remove. Iframe width - Width size of the iframe. If you put in 100% the application will be adjusted more easily. Iframe height - Height size of the iframe. If this size is small than your app, a scrollbar will appear automatically. 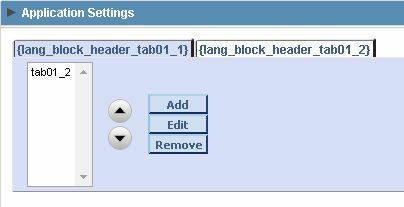 Reload Iframe - When this option is enabled makes the application of the tab, to be reloaded each time you change the tab. Variable - Name of the global variable to get the content. Value - Static content to be loaded for the parameter in the execution time. Empty - Leave empty or do not change if it has some value.